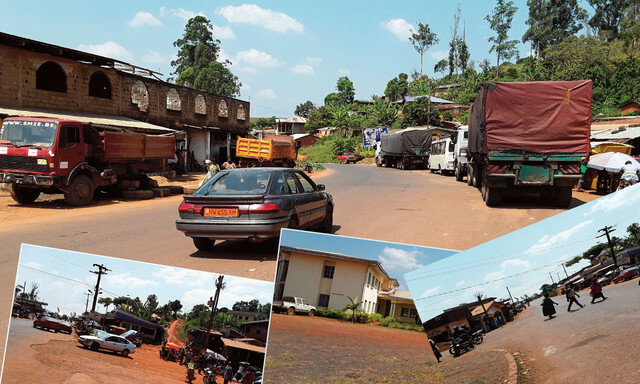 SURROUNDED BY HILLS, BANDJA HAS A CLIMATE THAT IS ENVIED BY MANY OTHER LOCALITIES IN THE WEST REGION OF CAMEROON. THE LOCALITY, WHICH IS FOUND ON THE NATIONAL ROAD NUMBER 5, HAS PLANS OF BECOMING A COSMOPOLITAN TOWN. Surrounded by hills, Bandja’s climate is very suitable for ecotourism. Situated along the stretch of the National road number 5, the town of Bandja is fast developing. Having as main source of revenue farming, the people plant both cash and food crops like cocoa, beans, plantains and maize. Transportation in Bandja is very easy as the road is tarred enabling motobike riders and vehicles to drive in on daily basis. The hilly nature and nice climate of the rural area makes the place suitable for picnics during weekends. Bandja’s proximity to the road attracts farmers and other traders who come to Bandja to sell their goods to travellers. The people of Bandja are equally hold education in a high esteem reaso why the locality has a Government Secondary School in the locality to the satisfaction of the population.